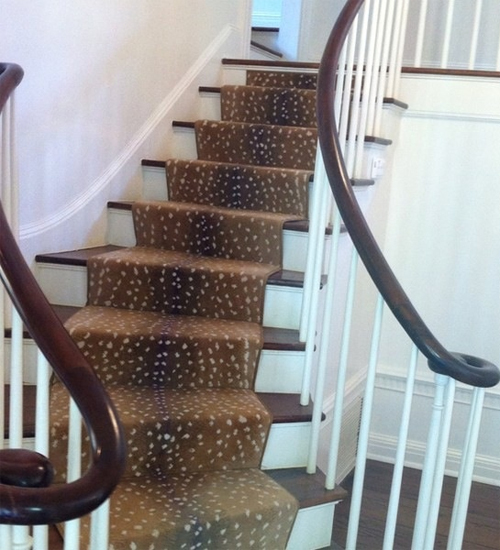 Proper Hunt: Stair Runners. Love or Hate? 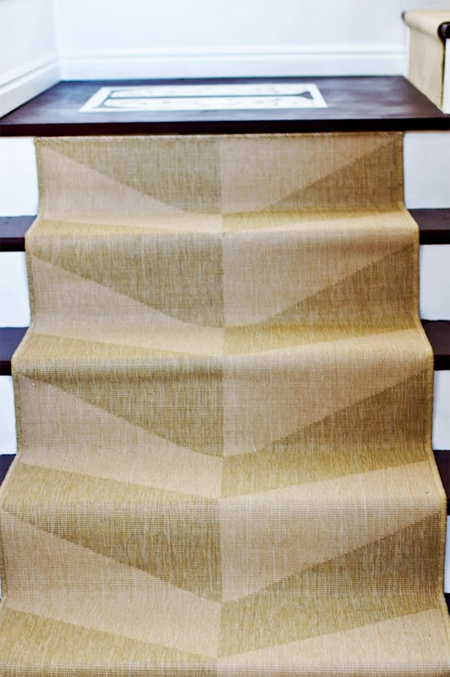 Stair Runners. Love or Hate? That's an easy question. Love them, of course! Such a great way to add interest (as bold as you want or as subtle as you want) to a seemingly forgotten space. I tell ya, I always seem to forget about the staircase (tsk tsk). It's just a place to get from Point A to Point B, right? 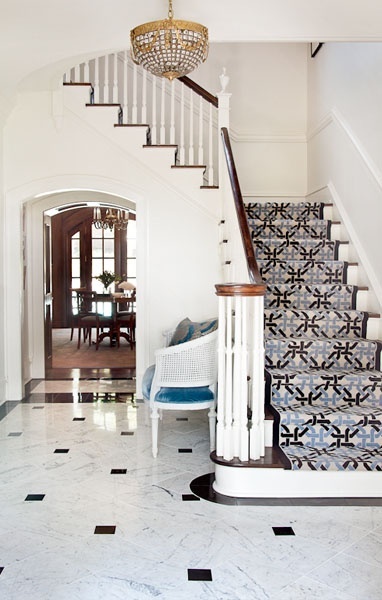 Yeaaa, but then I see these amazing staircases that are outfitted with such fun carpets, and I immediately want to remove the carpets on our staircases and replace them with something bold (leopard print, please) or geometric (David Hicks all the way). Ahh, the list keeps getting longer with what I want to do to the house. 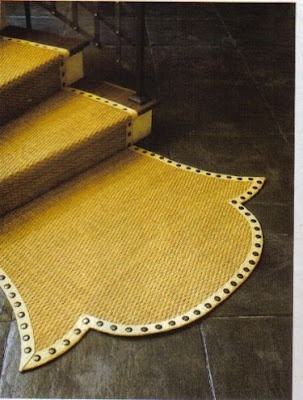 And this idea of stair runners is definitely now on there. Would you try this out? 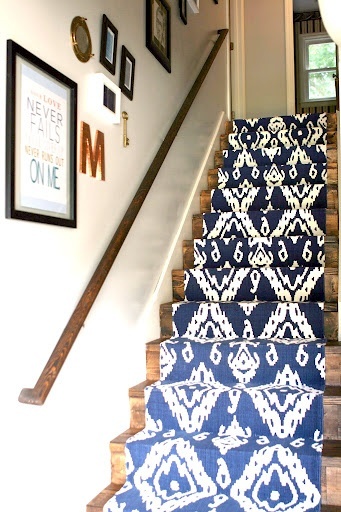 And check out that DIY Ikat stair runner. How amazing is that?? 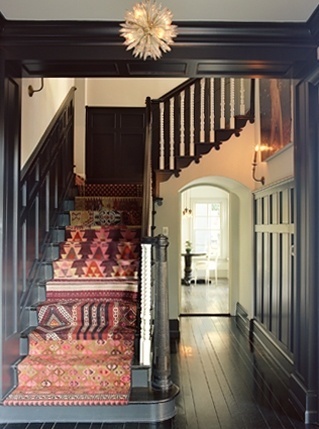 I LOVE a good stair runner!! Too bad I live in a home with no stairs...one more thing to add to the dream house list! Love! 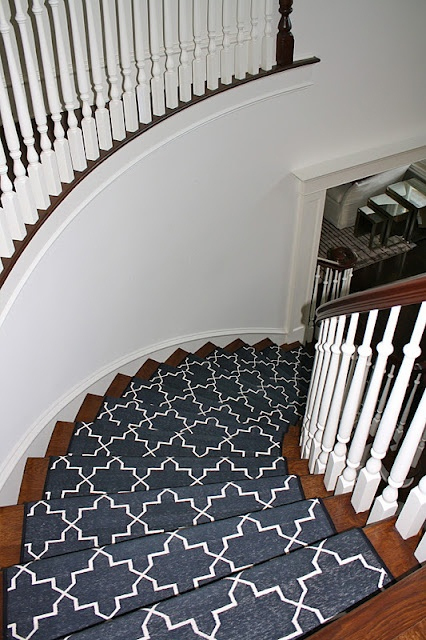 I really want a simple runner for our front stairs. 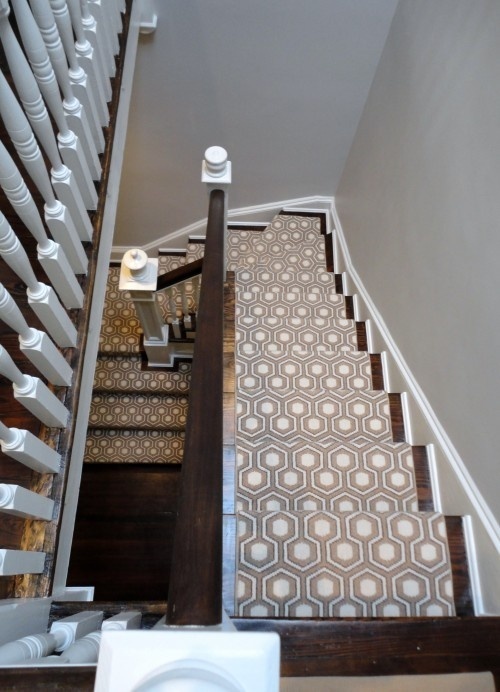 I love these images, but I love a bare stair also, freshly painted. Hope all is well!